Training and Support: An Extensive 3 Week In-Store Training Programme is planned and executed on a case by case basis dependant on the incoming franchisees transferrable skills. This programme is created to assist the incoming franchisee with the fundamental basics required to operate the store. There after the franchisee is provided with post opening support from the National Operations Team. Units Outside Country: There are currently 16 outlets internationally. 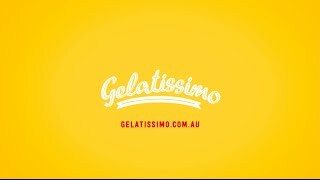 Gelatissimo is the leading gelato franchise in Australia, retailing hand-made artisan gelato which appeals to people of all ages. Gelato, a frozen confection falls into the dessert categoryof the food industry and is different from your conventional Ice Cream Product. Gelatissimo offers franchisees three styles of gelaterias (outlets): shopfront, kiosk and cafe. All gelaterias trade seven days a week and produce gelato fresh on premises daily. Gelatissimo franchisees have the benefit of a system that is simple and easy to run, supported by full training and ongoing support from professional operational and marketing teams, extensive brand building activities, product development and assistance with local store marketing. Gelatissimo is expanding across Australia and has territories available in all states. There are also a number of international opportunities. Since making our mark in 2002, and commencing franchising in 2004, we have shared our tasty formula for success and extended our family of like-minded gelato lovers. Today, we are serving the world one scoop at a time in Australia and Internationally.